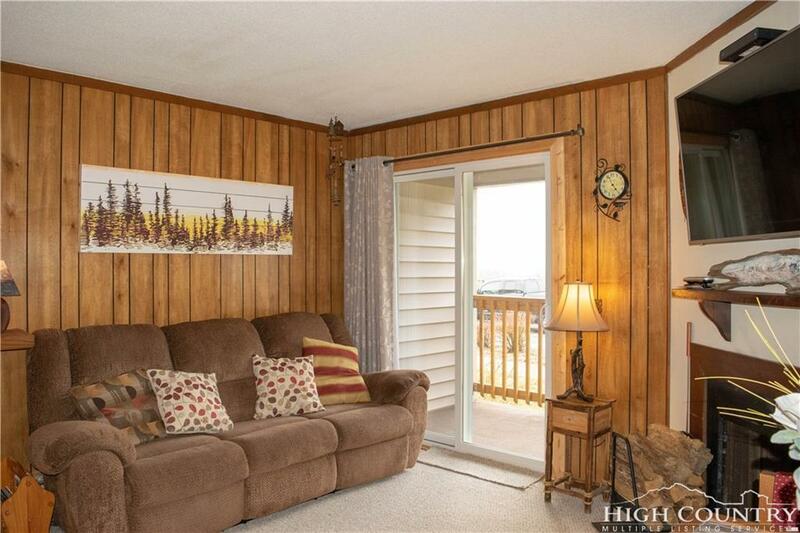 First level fully furnished condo at a great price with fantastic rental potential in the heart of Beech Mountain. Featuring new paint and beautiful flooring in the hallway for a bright and inviting entrance to this amazing mountain getaway. This corner unit has lots of added bonuses including additional windows in the main living area for extra natural light and no stairs. Being the second unit on the main floor puts you in close proximity to the pool , All Seasons Center and other amenities and also means that you and your guests donât have to haul your gear a long distance to get settled in. Includes 55" 4k Ultra High Definition Smart TV in the living room and 43" 4k Ultra High Definition Smart TV in bedroom, new dishes and pots and pans, and new mattresses on bunks. Enjoy all of the community amenities such as an indoor pool, hot tub, sauna, game room and fitness room, tennis courts, putting greens, and walking trails to nearby dog park and sledding hill.